Capable of withstanding shock without permanent deformation or rupture; tending to recover from or adjust easily to misfortune or change. Definitions of grit normally involve a combination of perserverance, committment and passion in achieving long term goals. There was no shortage of grit in Team NZ's achievement! Grit and resilience are topics of interest in the higher education community as well. These traits are being shown to be important in academic success. In an earlier post I've described myself as being someone who is good at failing. As I get ready to lecture first year engineering students for a few weeks next semester I am thinking about how I can support students to embrace "failure", to take risks, and to learn from their mistakes. I lecture part of a introductory computer programming class. One way I'll be embracing the possibility of failure is by writing code "live" in class. I lecture in large theatres (500+ students) so it is in many ways live theatre. Not always demonstrating code examples by using pre-prepared files is a risk. My fingers fly over the keyboard as I type and talk, and with 1000 eyes on me a fumble is ever possible! However as Margaret Perlis says "The supremely gritty are not afraid to tank, but rather embrace it as part of a process." The other attribute I would love to encouarge in my students is a growth mindset. Programming isn't easy for everyone. So the teaching team aims to create an environment where students have a chance to practice and develop their skills, as opposed to believing their ability in the subject is innate and pre-determined. Seeing students tackle the challenge that programming poses is exciting. Learning to code well oftens means making a lot of mistakes (coding "bugs") but being gritty about tackling them. Over the years I've seen some great examples of students who started the class not thinking they had significant pre-existing skill in the subject, but by being open to growth went on to get A+ grades in the course. 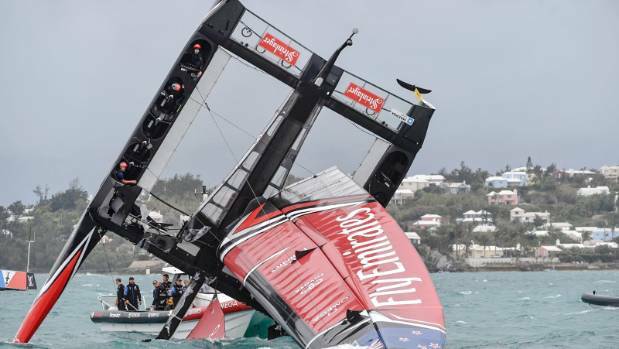 I can't sign off without acknowledging that Team NZ had two graduates from the Department working with them on the shore team in Bermuda - Elise Beavis (the youngest performance engineer in any team at age 23) and Steve Collie. Posted in Uncategorized and tagged America's Cup, coding, grit, growth mindset, resilience, Team NZ on June 27, 2017 by rarc002.